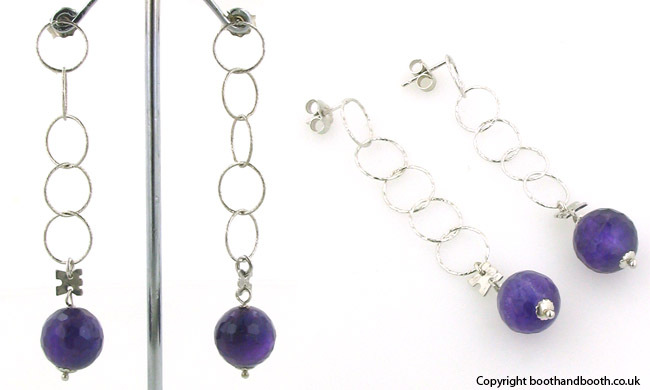 Amethyst dangle earrings with sterling silver rings. 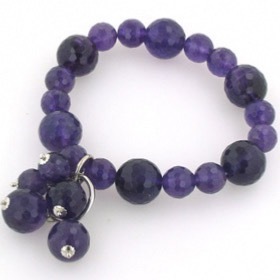 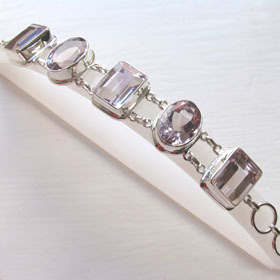 On the end of these 5 sterling silver rings is a deep purple, round amethyst gemstone. 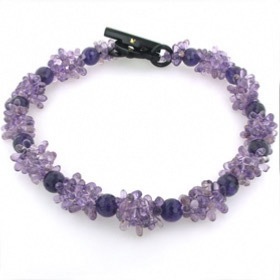 The amethysts are faceted and so sparkle as the light catches them. 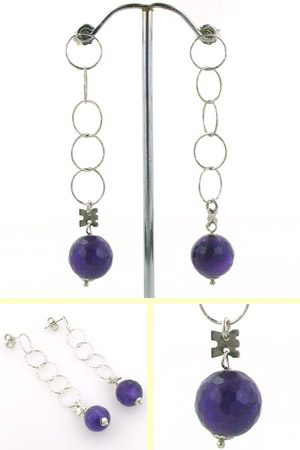 A gorgeous pair of amethyst earrings to team up with many other pieces in our amethyst collection. 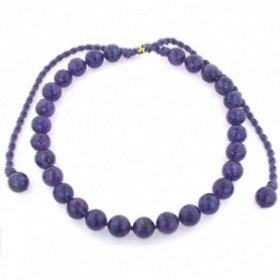 To start with, take a look at Antonia necklace and Annette bracelet (see below). 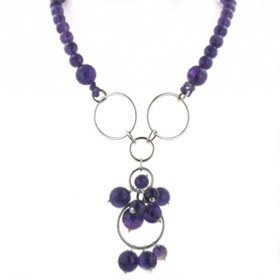 This amethyst earrings are made in Italy by Rajola and gift wrapped in beautiful branded packaging ready to present to your loved one or to treat yourself.